Sound the Alarm!!! | Musings of a marginally sane feline-appreciating female. It would seem that there is a Velveeta shortage!! Now, before we go any further, please keep any Velveeta hate to yourself. I understand it is certainly not everyone’s cup of tea. But I also think you can love a wonderful smoked gouda and still appreciate the place that Velveeta has in our society. Now, I’ll admit, my first thought was, “How the hell do you end up with a Velveeta shortage?” But demand and manufacturing don’t always sync up perfectly, and if Kraft is using just-in-time supply chains, those could have easily gotten screwed up with the winter weather. So, that’s how you run out of Velveeta. One friend said she thought it was a marketing stunt, but that didn’t make any sense to me. (Though it did work in that it got me thinking about cheese dip.) In this day and age of leaked documents and disgruntled employees, a faked shortage would be outed in no time at all. And the article says they haven’t gotten any reports of customers coming up empty on their Velveeta shopping escapades, so it’s a shortage that hasn’t hit the shelves yet. So, why bother even mentioning it? I have two options: The positive person in me thinks that Kraft is just trying to give their customers a heads-up that they may need a Velveeta contingency plan. The cynic in me thinks, yeah, that short-term sales spike will be nice as everyone cries, “Damn, get the Velveeta now, cause if we wait until Super Bowl weekend, it will be gone!” Either way – we’ve got a impending Velveeta shortage, people! Now, if you’re still thinking, “What the hell do people do with Velveeta anyway?” – I give you two very tasty options. 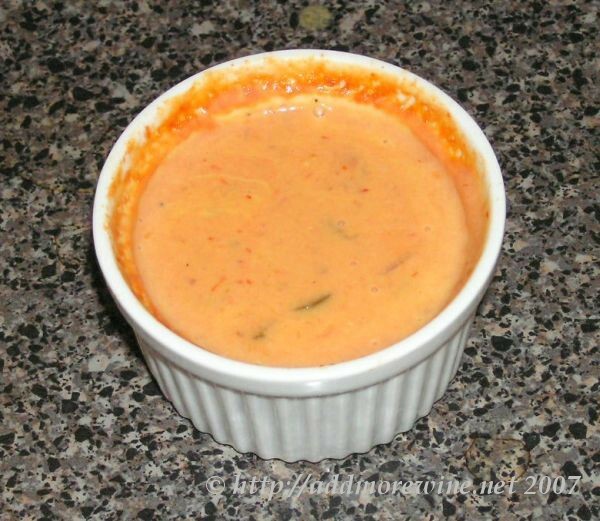 The first is cheesy salsa dip. Take your Velveeta, cut it up into small pieces, throw in some salsa, microwave it until it’s all melty and eat it with sour cream and chips. (I did not steal the picture, it’s from an old blog of mine.) The second is what my brother and his college roommates refer to as “Super Happy Fun Dip” which is a brick of Velveeta and a can of Hormel chili all mixed up and melted. It’s damn good, too. So, RUN, don’t walk to your nearest market and GET THE VELVEETA BEFORE IT’S ALL GONE. No, wait, scratch that. Go to the store after I go get my Velveeta, because damned if I don’t really want some cheese dip. Well played, Kraft. Well played. This entry was posted in Food and tagged Cheese Dip, Food, Recipes, Velveeta Shortage. Bookmark the permalink. 2 Responses to Sound the Alarm!!! I’m not certain you’ll want to know this, but here’s a link to a video of a red-hot steel ball that can’t manage to melt its way through a brick of, a brick of, dare I type the word, Velveeta. I have seen that and I wondered what Velveeta had ever done to the RHNB guy.